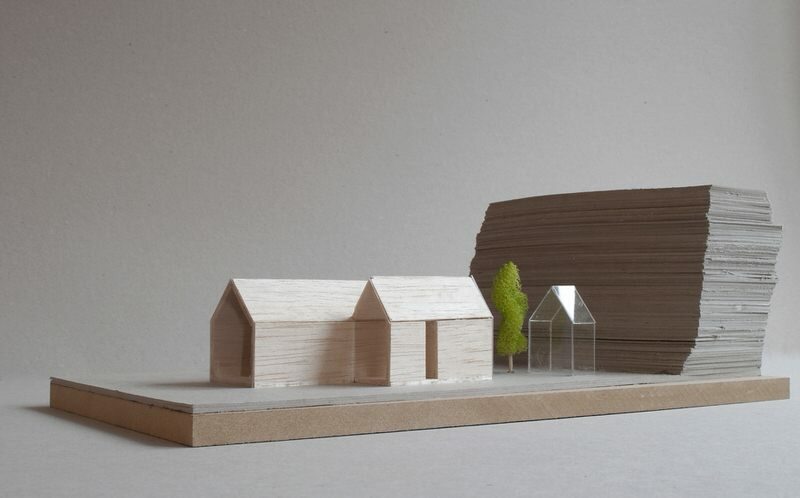 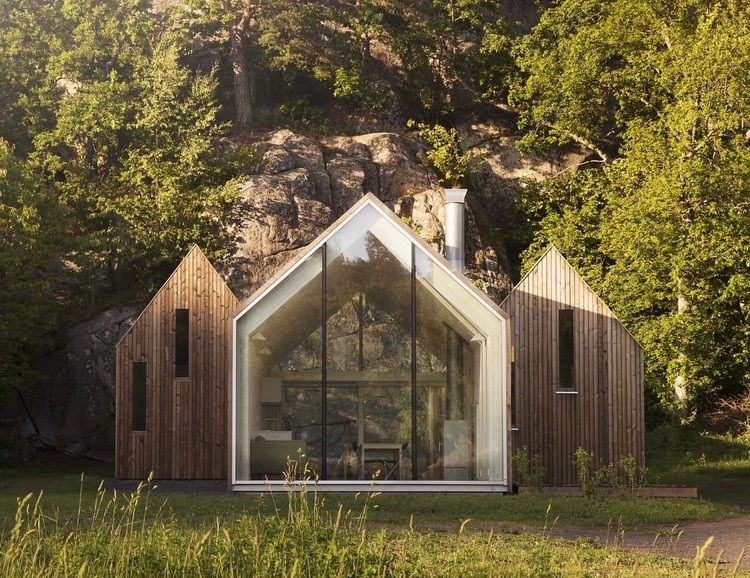 Reiulf Ramdstad Arkitekter were tasked with designing a holiday cabin on the Norwegian Vestfold coast to accommodate three generations of the same family. 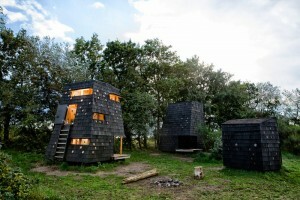 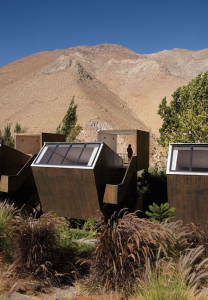 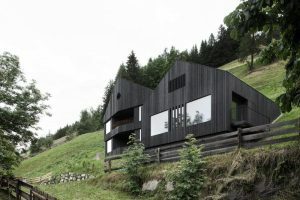 As a result, the dwelling which was appropriately dubbed Micro Cluster Cabins, is comprised of three distinct volumes, clearly defined by their individually pitched roofs. 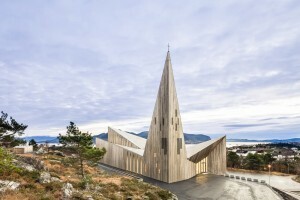 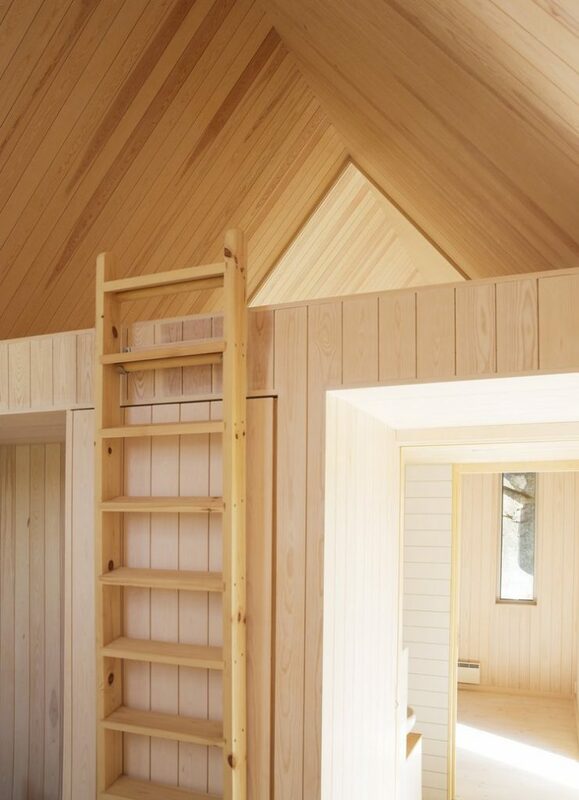 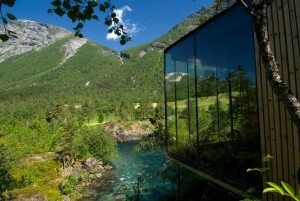 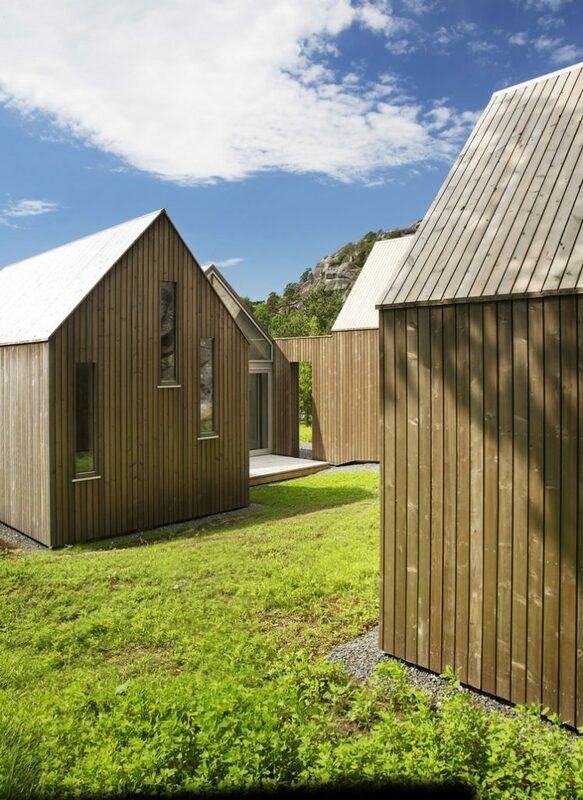 This arrangement of gables draws parallels with another project by Reiulf Ramstad Arkiktekter which was featured on Homeli in the past: Split View Mountain Lodge. 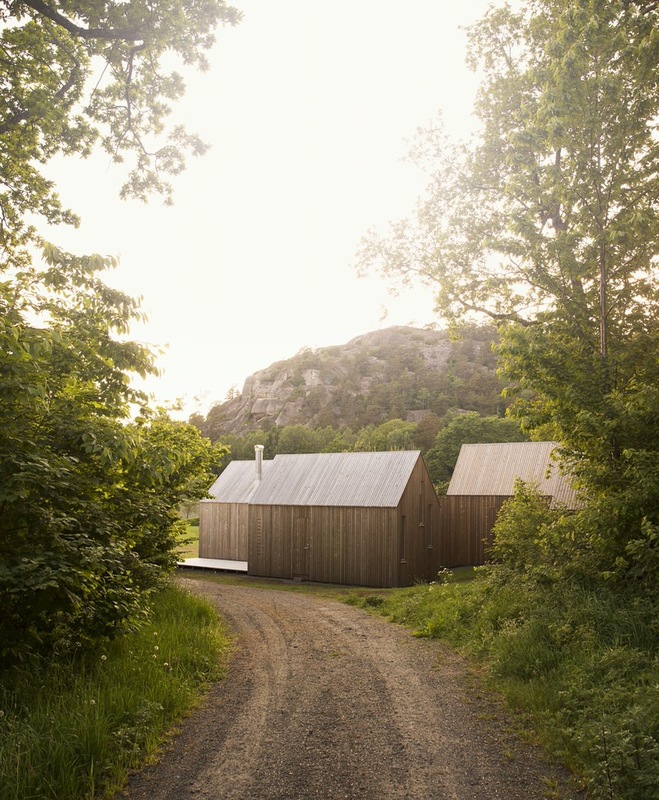 The rear of the site is closely abutted by a rocky hillside, and this coupled with the structure’s southwest orientation creates a subtle microclimate that passively benefits the building thermally in its Scandinavian location. 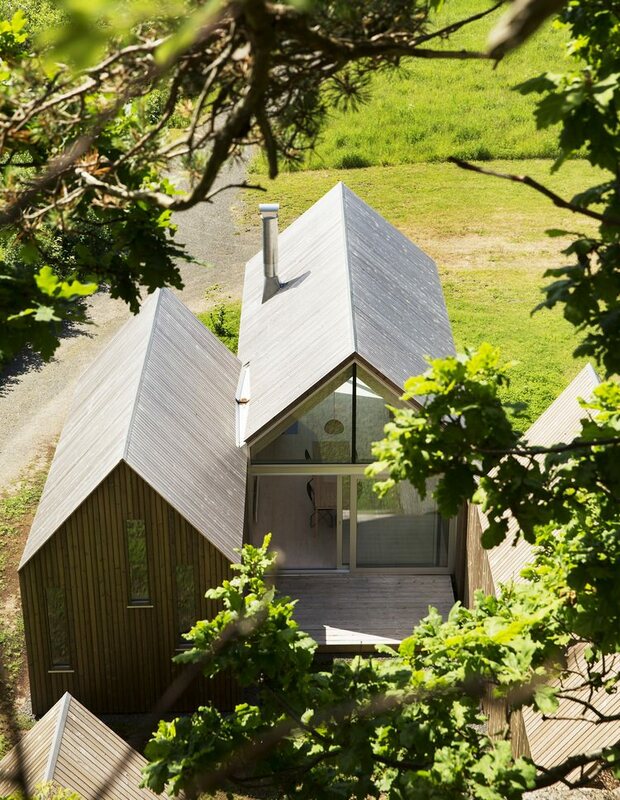 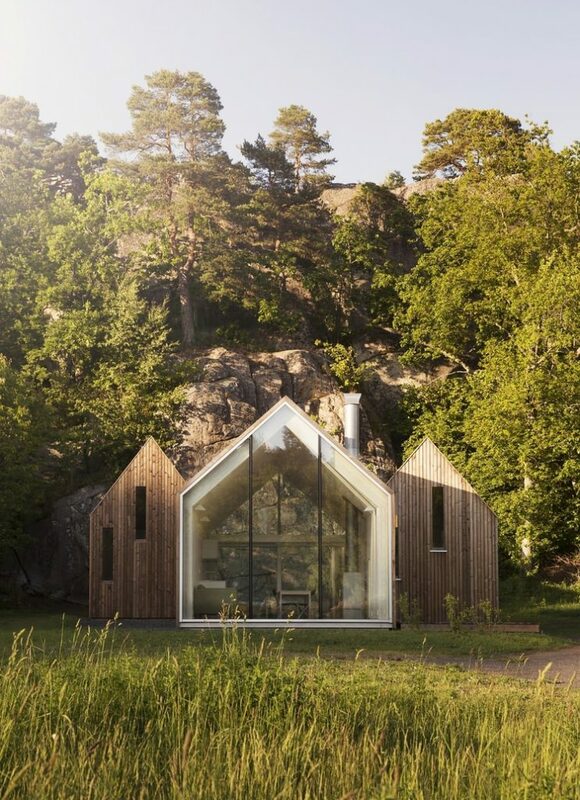 With a purely timber clad exterior, Micro Cluster Cabins was designed to have as little visual impact on the natural surroundings as possible, and this timber will silver over time to better blend with the local geological formations. 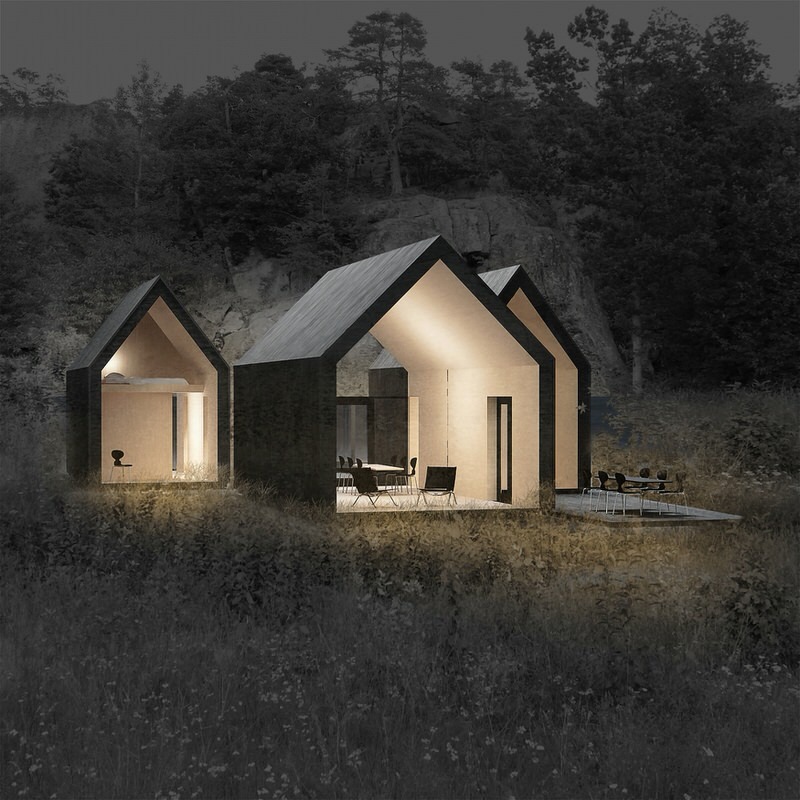 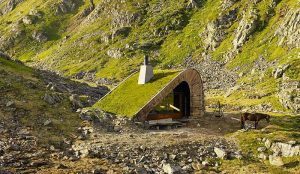 As mentioned, Reiulf Ramdstad Arkitekten designed Micro Cluster Cabins to comfortably accommodate multiple generations of the same family and this defined the arrangement of the holiday home. 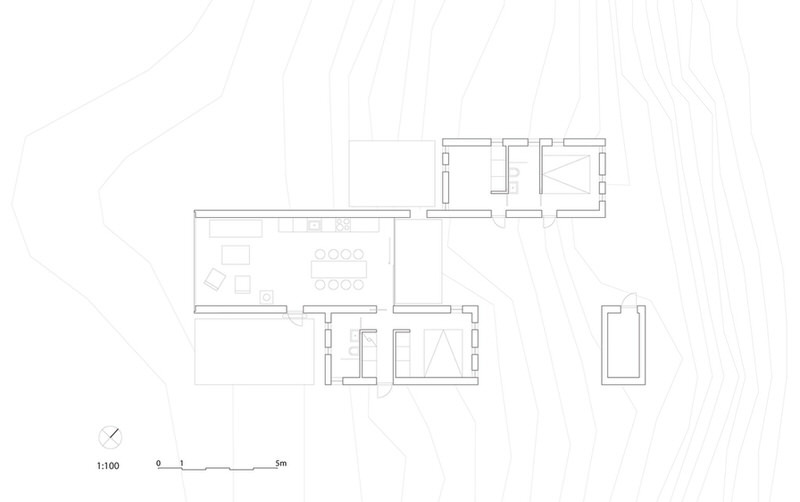 The two outermost volumes are in fact independent self-contained dwellings (as shown in the floorplan above) while the central volume is a communal area which features the kitchen and living area.